YES FUTURE READY Scholarship Program (formerly known as YES ASPIRE) presents students the opportunity to truly differentiate themselves on the basis of accelerated knowledge, experience and mentorship to chart their career roadmap for the future. Just follow the below steps to apply for the Yes Future Ready Scholarship Program 2019. Step 1 : Go to the official website of Yes Future Ready through the URL provided above. Step 2 : Next read the instructions carefully and click on “Register Now” button in the menu bar. Step 3 : New user Fill in the form with the required details to complete the registration. 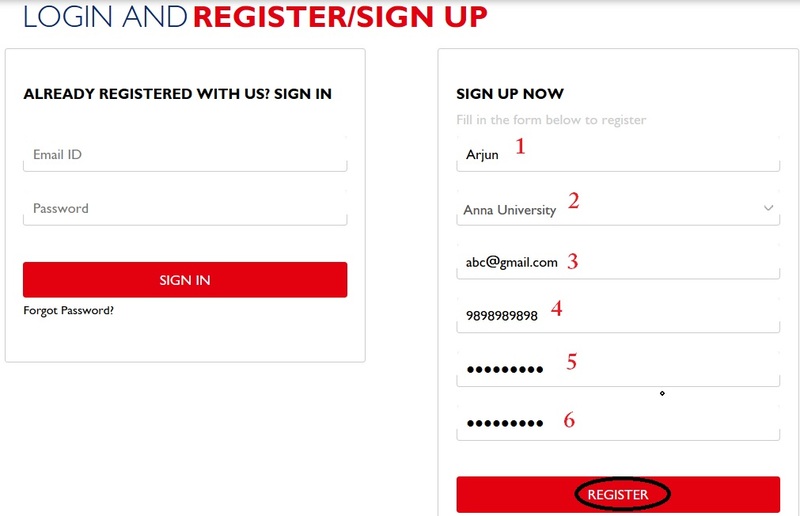 Step 4 : After complete your registration, login with your registered email id and password.